Another lovely hole on the eye from an elevated tee. A shaped left to right drive will avoid one large bunker on the right edge of the fairway to leave a mid to short iron to an elevated green. Favour the left hand side here. This may leave a longer second but avoids most of the trouble. 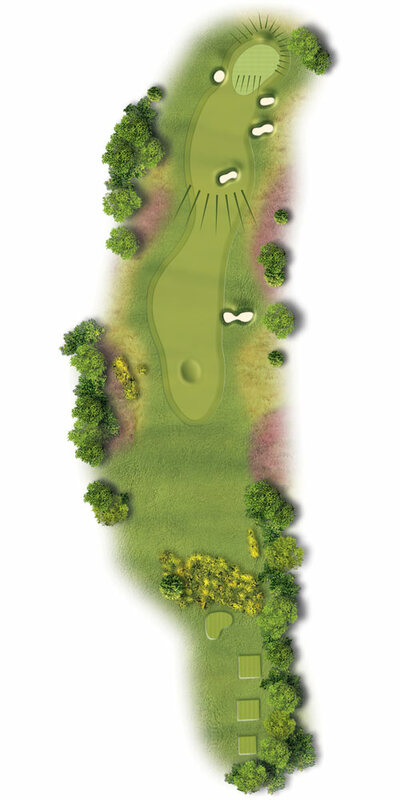 Take enough club with your shot to the green as it plays a little longer than the yardage.